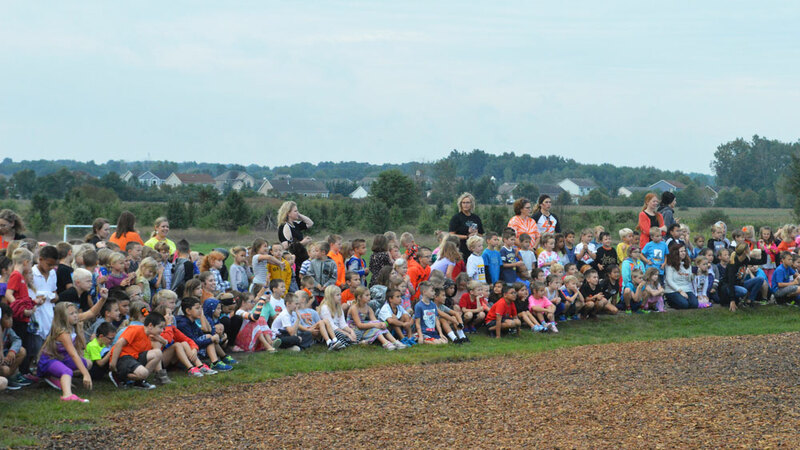 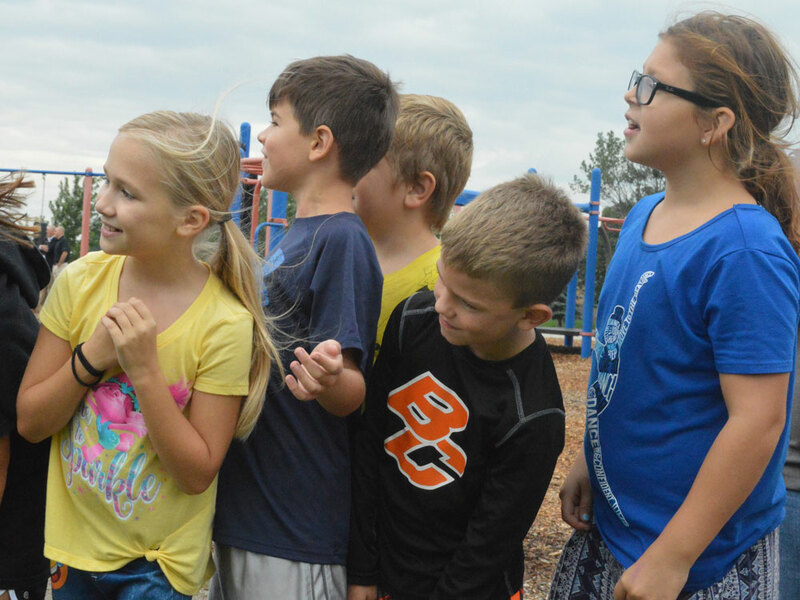 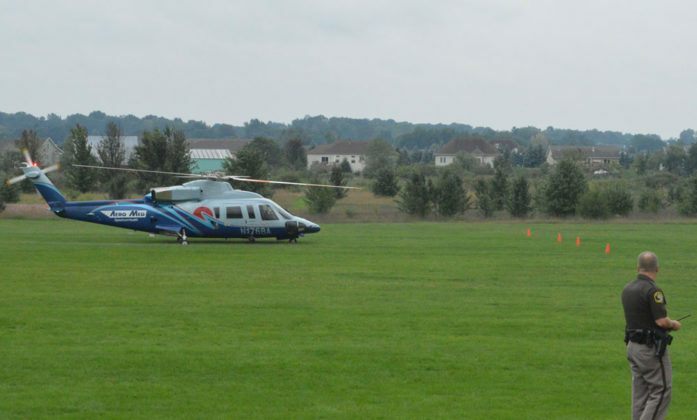 As a Spectrum Health Aero Med helicopter descended on the Marshall Elementary schoolyard-turned-landing zone, students were propelled into a morning of learning about emergency first responders. 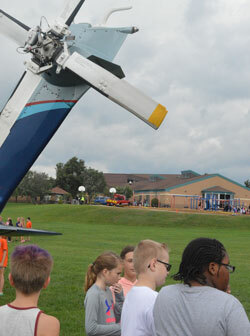 Wide-eyed kindergarten through fourth-graders pointed upward as the chopper – used for rapid transportation to hospitals – circled the sky with blades whirring. 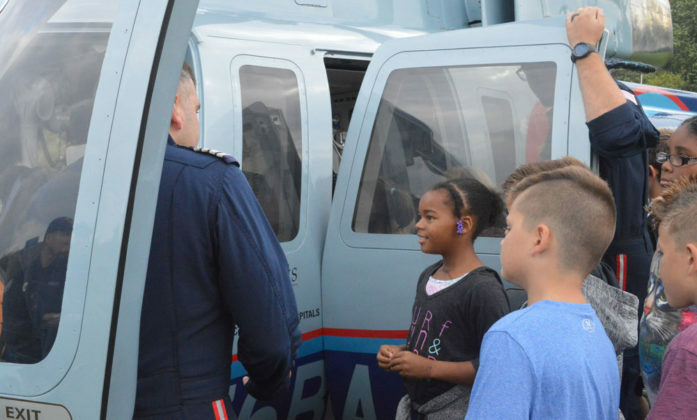 “I’m interested in learning more about what kind of things they have to do, like saving people,” said fourth-grader Madison Law. 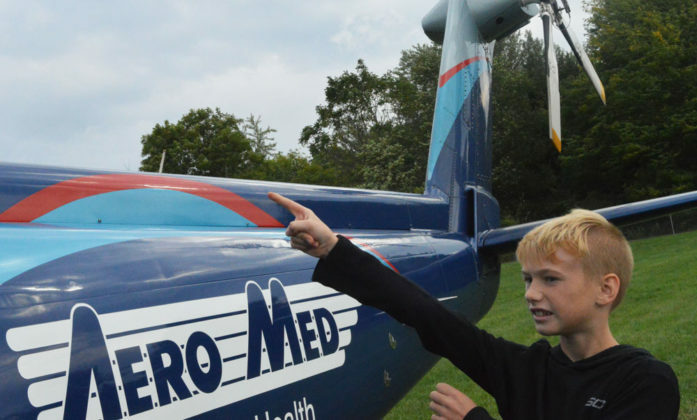 Madison got her wish and lots more information about people who work on the front-line of emergencies. 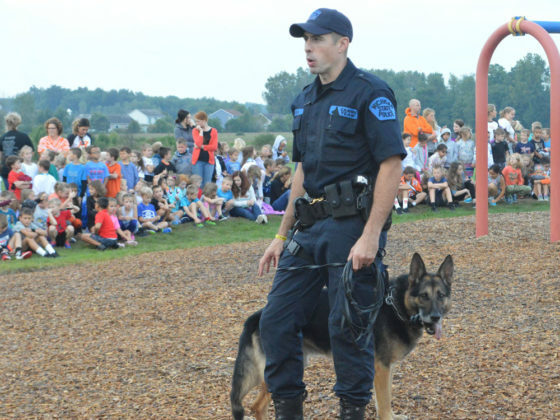 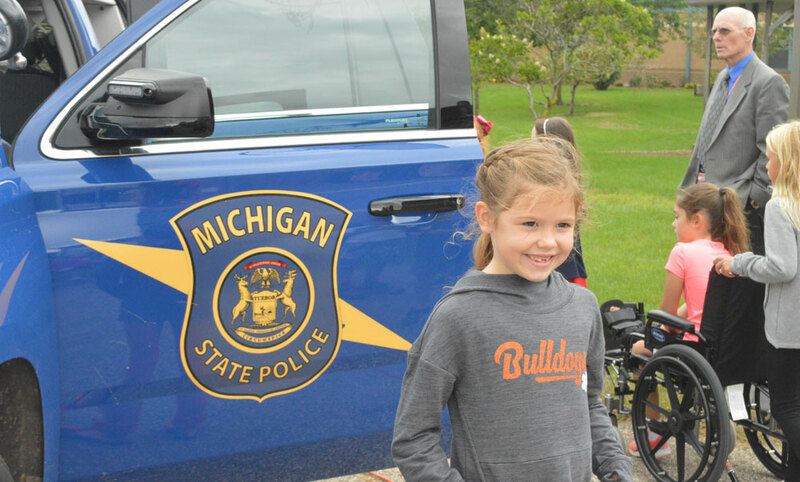 Representatives from Michigan State Police Canine Unit, Byron Township/Cutlerville Sheriff’s Department, Life EMS, Byron Township Fire Department and the Kent County Scientific Support Unit opened their vehicles in the school parking lots. 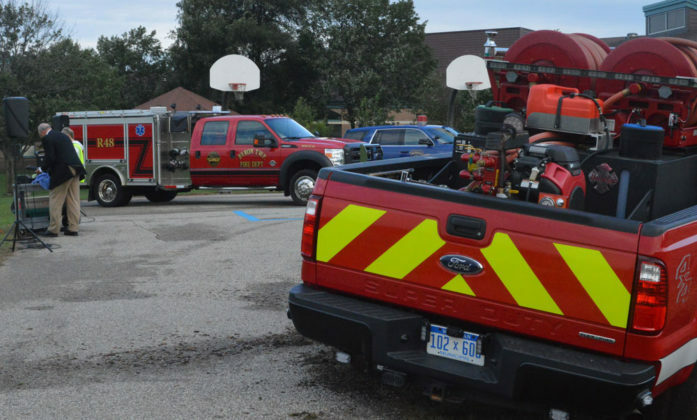 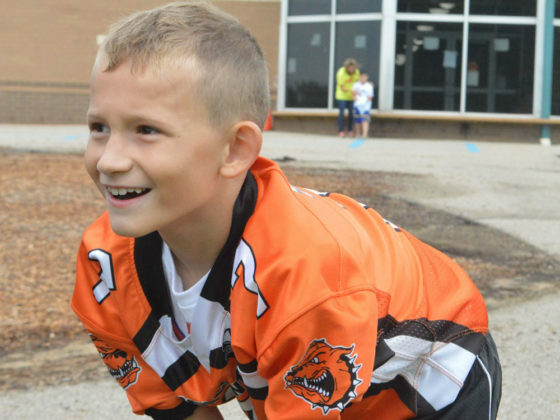 Greg Jackson, dad to fourth-grader Luke, and third-grader Noah, organized the event as a way to expand on a fire safety presentation at Marshall last year. He said he likes to find ways to enhance learning at the school. 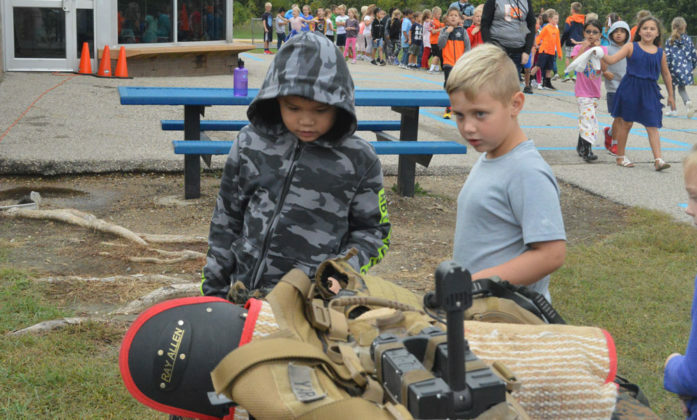 Principal John Krajewski said the day was perfect for hands-on learning and creating a connection with the community.